Ivanka Trump's clothing line has had a rough week. Nordstrom announced on February 2 that it decided to stop carrying the brand due to declining sales. And as of February 3, all the first daughter's products had disappeared from Nieman Marcus' website as well. Both retailers have been targets of a consumer boycott of all companies associated with the Trump family — a list that also includes Amazon, Bloomingdales, and Dillard's (all of which carry Ivanka's line). An examination of shipping data associated with Ivanka Trump's clothing and accessory brand reveals another problem that could hurt the business: a significant amount of her brand's shoes, clothes, and handbags are imported from China and Hong Kong, going against President Donald Trump's 'buy American' policy. The practice of manufacturing clothing and accessories in Asia and shipping them into the United States is common in the apparel industry — as of 2015, over 97% of clothes and 98% of shoes sold in the US were imported, according to the American Apparel and Footwear Association. But that dependence on foreign imports might become a particular issue for the first daughter because of President Trump's stance on trade. In early January, Trump told the New York Times that he'd support a 45% tariff on Chinese exports to the US. A couple weeks later, he also threatened to impose a "very major" border tax on companies that move their production outside of the US. Both of those initiatives could force Ivanka Trump, and many other clothing brands, to change their practices. According to data compiled for Business Insider by ImportGenius, a company that organizes data from US customs into proprietary databases, Ivanka Trump's company received 193 shipments in 2016, 202 in 2015, and 233 in 2014. The information about Ivanka Trump's shipments comes from bills of lading, which track everything a ship is carrying as well as who is sending and receiving the cargo. To create the list, ImportGenius pulled all the records connected to Ivanka Trump's name. Many of the shipments associated with her brand were consolidated with other imports by logistics companies, so it is difficult to determine their precise origin. But all the shipments sent on their own over the last several years came from either China or Hong Kong (with one exception: a shipment of woven jackets and vests, sent from Vietnam to Tacoma, Washington in March, 2016). The list doesn't show anything that's made domestically, nor any cargo that arrived in the US by truck or plane. But it nonetheless provides strong evidence that Ivanka's clothing line is not made in the USA. In August 2016, for example, there were six shipments of handbags, and 36 shipments of shoes. In response to the news that Nordstrom had dropped Ivanka's line, Rosemary K. Young, Ivanka Trump's senior director of marketing, pointed out that the brand had seen significant year-over-year growth in 2016, and continues to expand. "We believe that the strength of a brand is measured not only by the profits it generates, but the integrity it maintains," Young said in a statement to Business Insider. 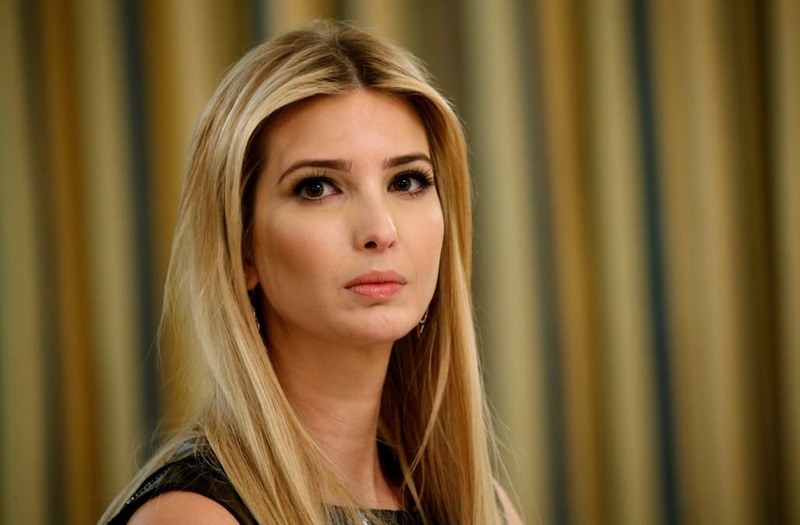 If Trump decides to go after companies that manufacture goods abroad, however, the strength of Ivanka's brand might soon also be measured by whether or not the first daughter can move production back to the US.